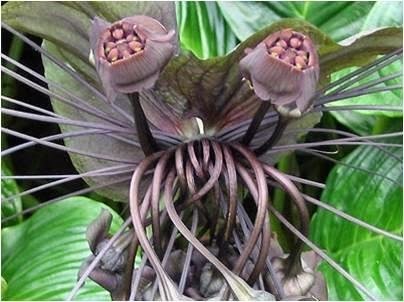 Gavin spoke this month about the Bat Plant which feature the black (Tacca chantrieri) and white (Tacca integrifolia) flowering forms. 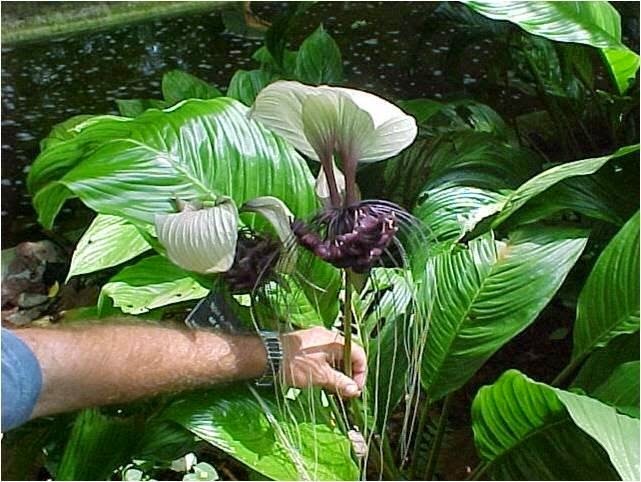 He informed the members that it is a curious and unique plant native to the tropical jungles of South-East Asia which is grown for its bizarre looking flowers. 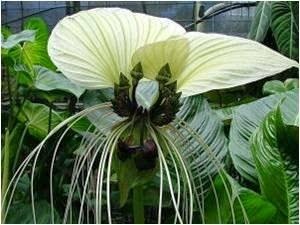 Both plants have large, wrinkled leaves and flowers which resemble bats. The white variety grows larger and the flowers have two distinctive white ears. The black one has two blackish purple wings. 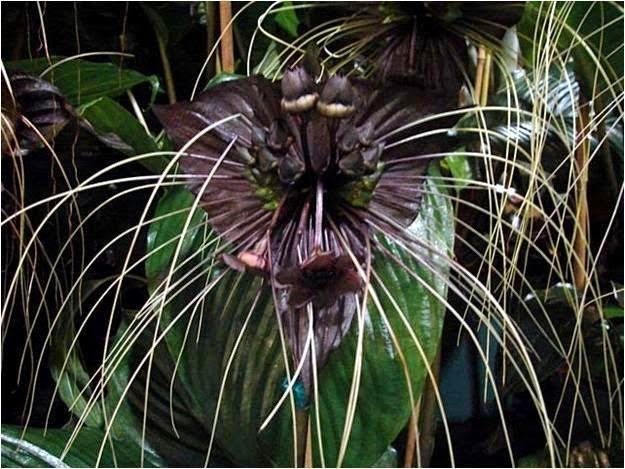 Both plants' flowers are on long stalks and have long whiskers trailing down adding to the odd look. Gavin said we were lucky here in Coffs Harbour as we can grow them outside in the garden. Further south they would need to be grown in a pot and taken indoors in winter or restricted to a conservatory or glasshouse. In the garden it will grow to about one metre tall and one metre wide. It needs a shady, sheltered and warm position with rich soil and plenty of water in summer. In the winter the plant needs to dry out a bit, otherwise it can rot. Flowering time is summer to autumn and individual blooms can last a long time. Older plants can have several flowers at a time (as confirmed by member Margaret who has several flowers on hers) and clump and multiply from thick underground tubers which can be divided in the warmer months. Gavin remarked that if you want to grow something a bit different and start some chins wagging, you can’t go past the bat plant.